Are you a pizza junkie? Maybe you consider yourself a pizza connoisseur? Perhaps you live in one of the beautiful states that allow you to smoke some of the funny stuff? If any of these are the case then you’re probably ordering pizza and or other foods somewhat regularly. Well, then you surely need to be up on the top pizza or food delivery apps. First, let’s get down to business and go over the best apps for pizza delivery. Hungry Howies is a solid pizza place as far as chains go. This app is seamless and simple. They let you choose the size you need and then pick your toppings and flavored crust. After that, you input your address and credit card information and the pie will be at your door in about 40-45 minutes. Slice is an awesome app for pizza lovers. You simply type in your address and Slice will direct you to several choices of pizza joints in your area. This app allows you to make custom orders to your liking. You can use Apple Pay with this one and it can save your orders so you can re-order in the future with a swipe and a tap or two. The is a great pizza delivery app to use when you are hanging out with a group of people or something and not everyone wants pizza. You can find tons of local pizza parlors on Grubhub and then you’ll find many other restaurants in the area for whatever the non-pizza eaters might want. So we’ve covered a few pizza delivery apps and now it’s time to check out regular food delivery apps. Below is a list of the top apps you’ll want to download for sure. Postmates takes the cake because you can get just about anything with their app. They aren’t affiliated with any restaurants so your options are pretty much unlimited. Another great thing about Postmates is that you can even get booze delivered. That’s right. 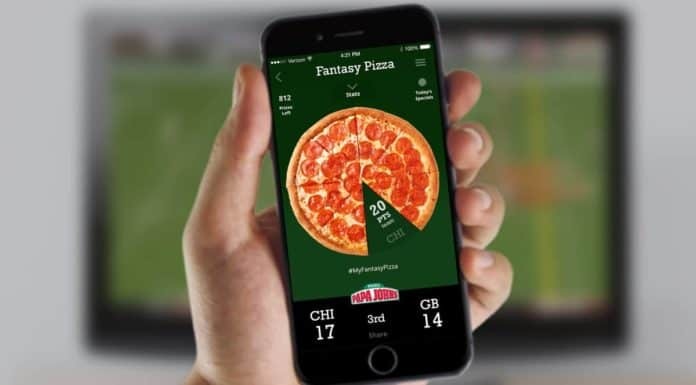 Say you are having a party for the big game or something and you want a one-stop go-to food delivery service, Postmates is who to call. It’s available for Android and IOS. DoorDash is a pretty unique food delivery app. It incorporates a food scoring system which is called DoorDash Delight. They rate the quality of the food at each place as well as delivery time and customer satisfaction. They also rate the popularity of the restaurant if that’s something that is important to you. This app is also available in IOS and Android. Seamless is basically exactly what it says it is. It’s the most seamless food delivery app you’ll find, end of story. It’s available for Android and IOS. Seamless is available in over 600 cities. The one drawback is many times you’ll have to place an order with a minimum amount of cash.